Ambassadors' reports form one of the most valuable sources of information we have about Europe in the period 1485-1603. Gossipy letters home from Paris, London, Edinburgh and Madrid tell us about James IV's mistresses, Katharine of Aragon's dislike of Henry VIII's beard, and Francis I's syphilis. There was not an official civil service or foreign office in sixteenth century governments – people did not join the diplomatic service and work their way up the ladder only in that field. Instead an individual might serve the monarch in several capacities, of which foreign affairs was only one. Qualities that were deemed important were good language skills, particularly French, which was spoken at all the royal courts in Europe, and powerful connections both at home and abroad. Examples of this type of diplomat are Sir Thomas Boleyn, who was frequently sent on missions to the Low Countries and to France, Sir Thomas Wyatt who went on numerous short term embassies to France and the Empire, and Sir Thomas Seymour, who spent 8 months in Vienna. Contrary to how it may seem, it was not obligatory to be called Thomas! 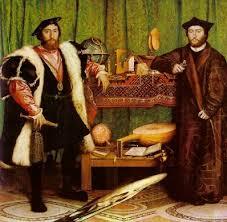 The Ambassadors by Hans Holbein. Probably a portrait of Jean de Dinteville, Seigneur de Polisy (L) and Georges de Selve, Bishop of Lavour on embassy to London in 1533. As well as these short term appointments, lasting weeks or months and often for a specific purpose – to negotiate a treaty or to conduct matrimonial affairs, more countries were beginning to set up permanent embassies abroad, where the Ambassador might dwell for many years. The most famous is, of course, Eustace Chapuys, the Imperial Ambassador to England in the years 1529-1546. The first two resident English Ambassadors were posted by Henry VII to the Low Countries and to Spain, in recognition of England's alliances with those countries. The Ambassador's role then, as now, was to promote harmony and accord between the host country and his own, to encourage trade and to persuade the host country in to profitless wars for his own master's advantage. They might also become involved in alliances between third parties, as when the Spanish Ambassador Don Pedro de Ayala became instrumental in the signing of the Treaty of Perpetual Peace (1502) between England and Scotland. The diplomatic letters and reports also give clues about the political machinations of the various rulers. The single most interesting collection of correspondence comes from the papers of the aforementioned Eustace Chapuys. Chapuys frequently went beyond his brief by taking a personal interest in the fate of his master's aunt, Katharine of Aragon, and cousin Mary, but he also gives interesting insights into wider political activities. The papers of Sir Ralph Sadler, English Ambassador to Scotland in the 1540s give huge amounts of information about the relationship (if such it can be called) between the countries during the War of the Rough Wooing. This is followed up in the 1560s by, Sir James Melville's memoirs. Melville was the Scottish Ambassador to London, and we learn much from him about the rivalry between Elizabeth and Mary Queen of Scots. However, we need to take some of the Ambassadors' reports with a pinch of salt. Whilst Ambassadors were sacrosanct so far as personal safety was concerned, it is very apparent that they were assumed to be spies, who ought to be duped and manipulated wherever possible. In the early days of Henry VIII's reign it is obvious that he and Wolsey played some sort of good cop, bad cop routine to achieve their ultimate aim – Wolsey would claim that Henry was completely against a particular policy, but that he would put himself out to talk the King round. Henry would then tell the Ambassador, that, personally, he would like nothing better than to enter into an alliance, but that his ministers were hesitant. Elizabeth would use similar tactics in her multifarious marriage negotiations, sending first one message by one of her ambassadors, and then changing her mind in the next letter. Ambassadors could also be the focus of a monarch's anger against their home country. After the Massacre of St Bartholomew in 1572, Elizabeth summoned the French Ambassador, Fenelon, to a court dressed from head to toe in mourning, to make known her horror and distress at what was described as "the greatest crime since the crucifixion". Sometimes, too, the Ambassador's brief to find out what was going on by making friends with influential people and paying spies within ministers' households would go beyond what was acceptable. The Spanish Ambassadors, de Spes and de Mendoza, were both expelled by Elizabeth for having become actively involved in the Ridolfi and Babington plots. 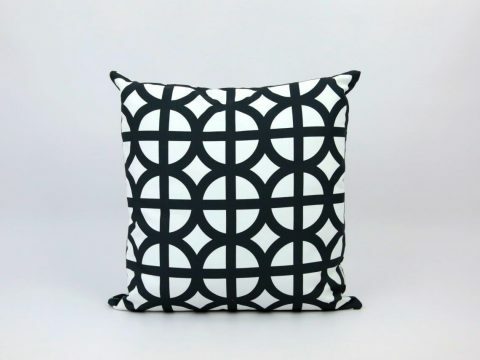 Ambassadors were considered to be the embodiment of the monarch they were representing, and thus they were accorded a high level of personal protection and security by the host nation. Complications arose after the 1540s when religious change hardened into Catholic and Protestant camps. It was necessary to permit foreign ambassadors freedom of worship but this privilege was often abused when they allowed local adherents of a banned faith to take part in private acts of worship at the Embassy. The period gives us probably the first female ambassador. Katharine of Aragon received formal letters of accreditation as ambassador from her father, the King of Aragon and Regent of Castile, to her father-in-law Henry VII in 1507. 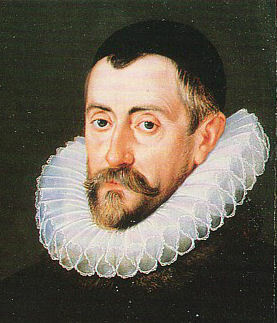 She entered into diplomatic life with gusto, sending coded messages in cipher by circuitous routes and arguing vigorously for the fulfilment of her marriage contract.Other famous ambassadors of the period include Sir Francis Walsingham, whose sojourn in France, during which the terrible Massacre of St Bartholomew occurred, left him permanently traumatised by the threat of a Catholic restoration and influenced his every move as Elizabeth's Secretary of State and spymaster.